We just release our latest review about the hottest and newest things for designers released in August, 2016. We’ve included lots of marketing resources, startup resources, educational tools, email tools, image resources, icons, CMSs, CSS resources, and much more. 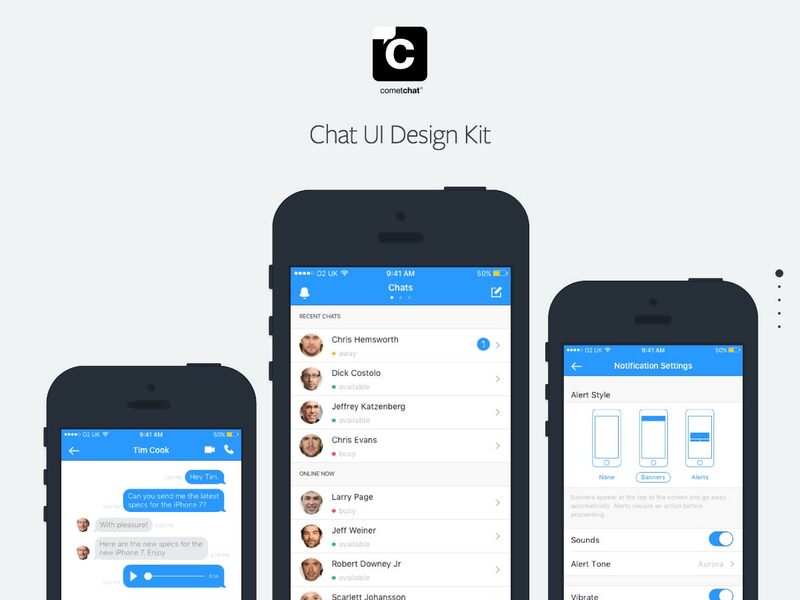 Chat UI Design Kit is a set of more than 36 layouts to speed up your UI/UX workflow in Sketch. Each one is created based on modern design trends. 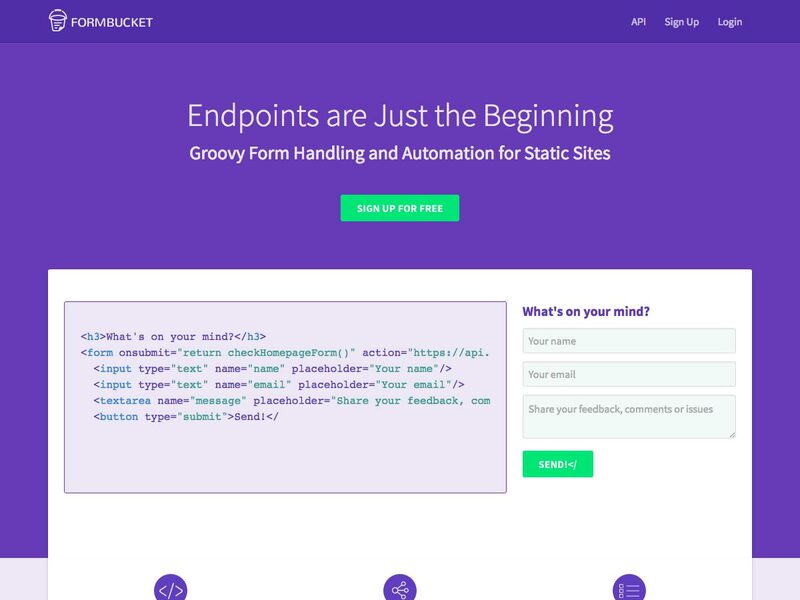 Form Bucket offers form handling and automation for static websites. Redirect users to any URL and style forms with your markup and CSS. Coworkies helps connect members of coworking spaces so they can grow their network and find work opportunities. 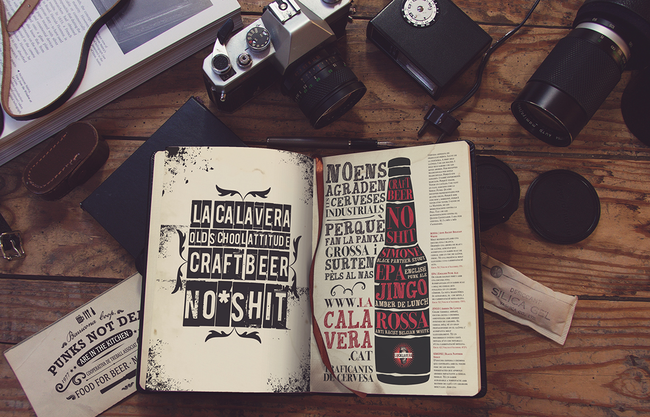 You can share knowledge, discover the coworking scene around you, and more. 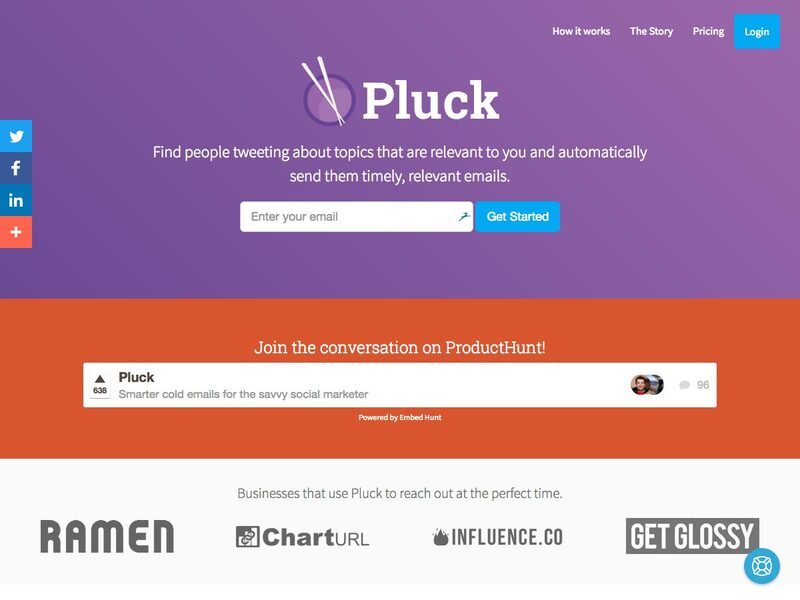 Pluck lets you find people tweeting about a topic you choose, and then automatically sends a timely, relevant email to them. 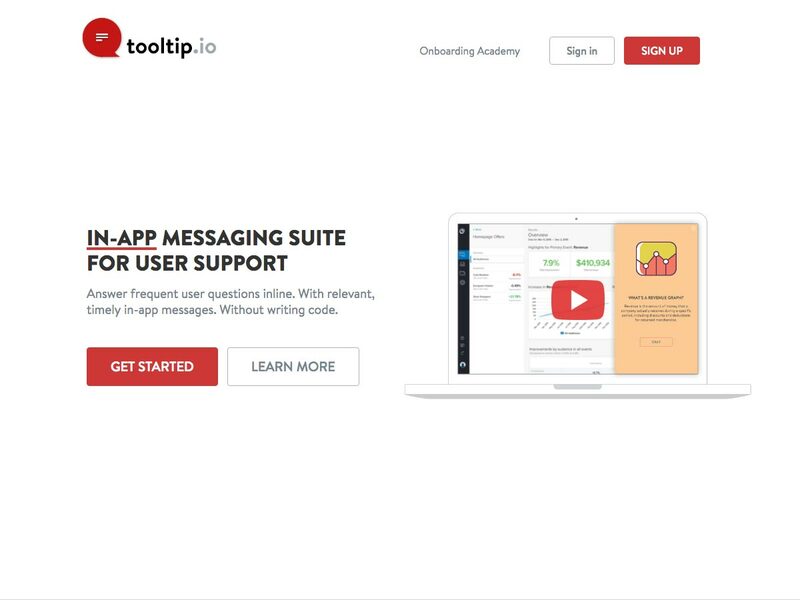 Tooltip.io offers in-app messaging for user support. Answer frequent user questions inline with relevant, timely messages, all without writing code. 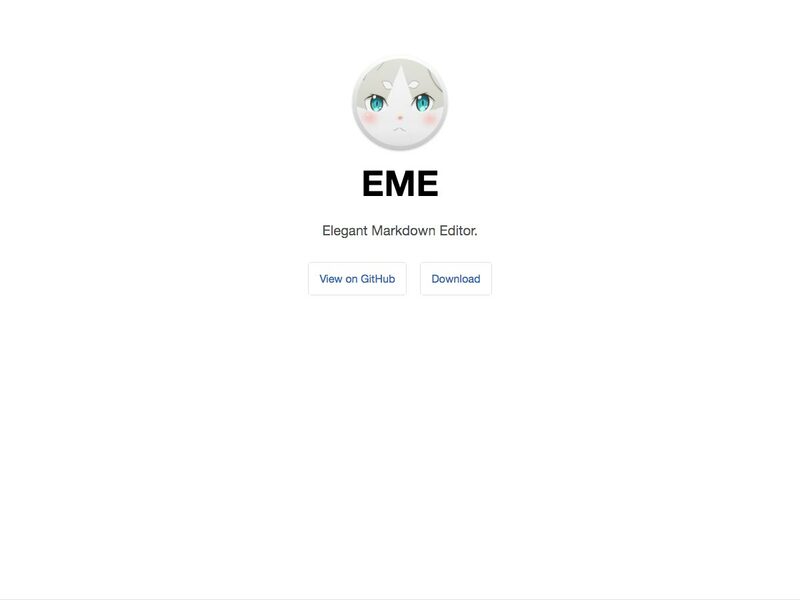 EME is an elegant markdown editor. It includes editor and preview panes (view either or both), and multiple export options. Having a hard time coming up with blog topic ideas? Blog Owl will send you ideas and suggestions right to your inbox. Ever wondered how much branding should really cost? 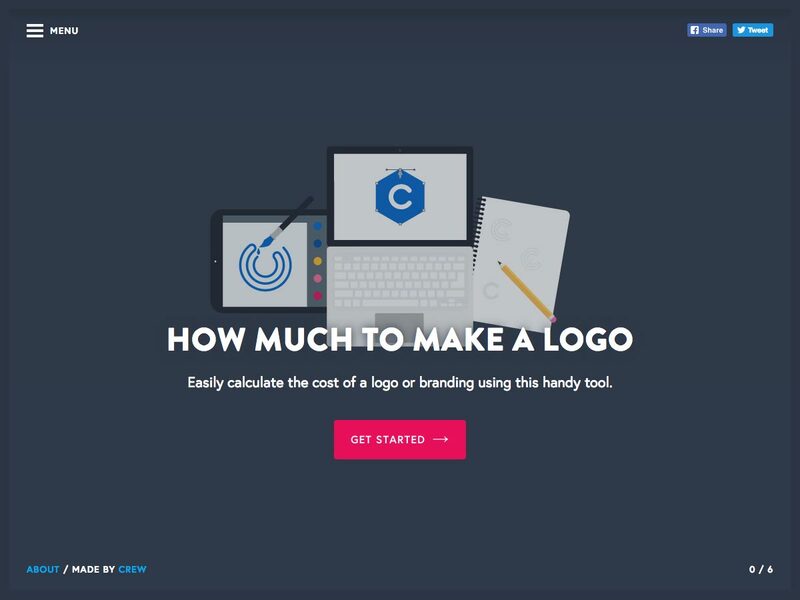 How Much to Make a Logo asks a series of questions to give a rough estimate of what your branding project should cost. 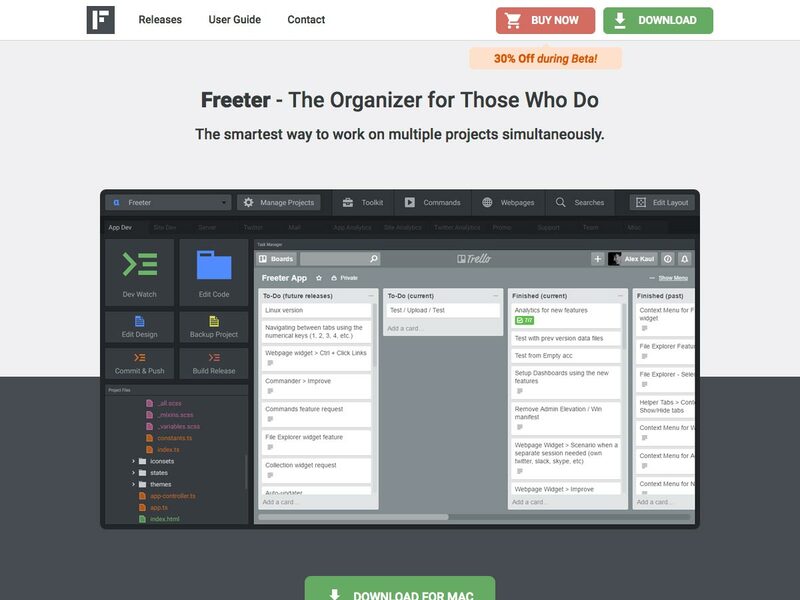 Freeter makes it easier to work on multiple projects at once. It offers tons of features to streamline your workflow. Want to know how much money you could make with your ad-supported mobile app? 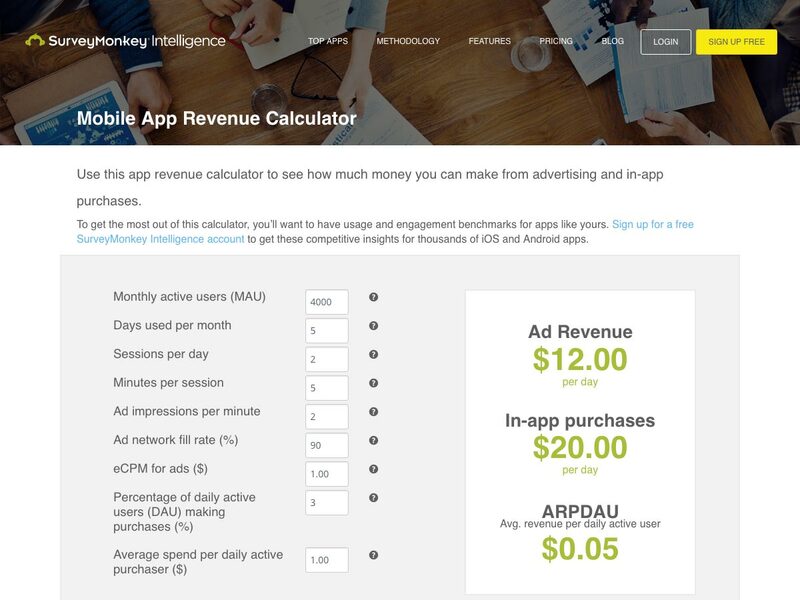 SurveyMonkey’s Mobile App Revenue Calculator will tell you with just some basic information about the monthly active users and ad impression info. 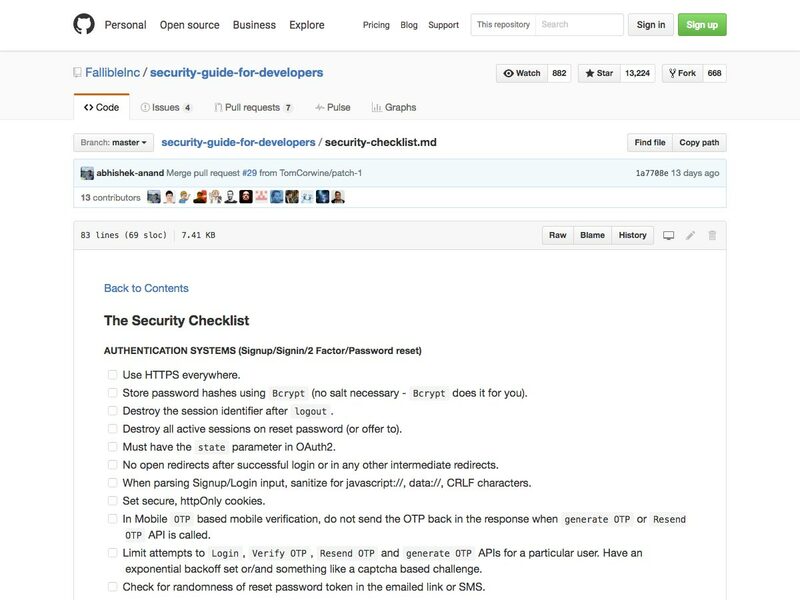 The Security Checklist is a vital resource for developers who want to make sure their sites are as secure as possible. 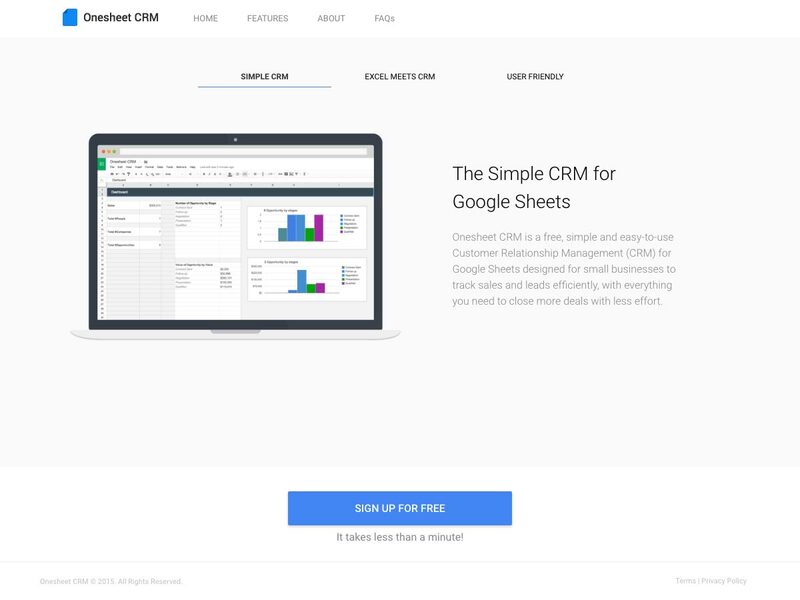 Onesheet CRM is a simple, easy-to-use, and free customer relationship management program for use with Google Sheets. It’s perfect for tracking sales and leads in your small business. 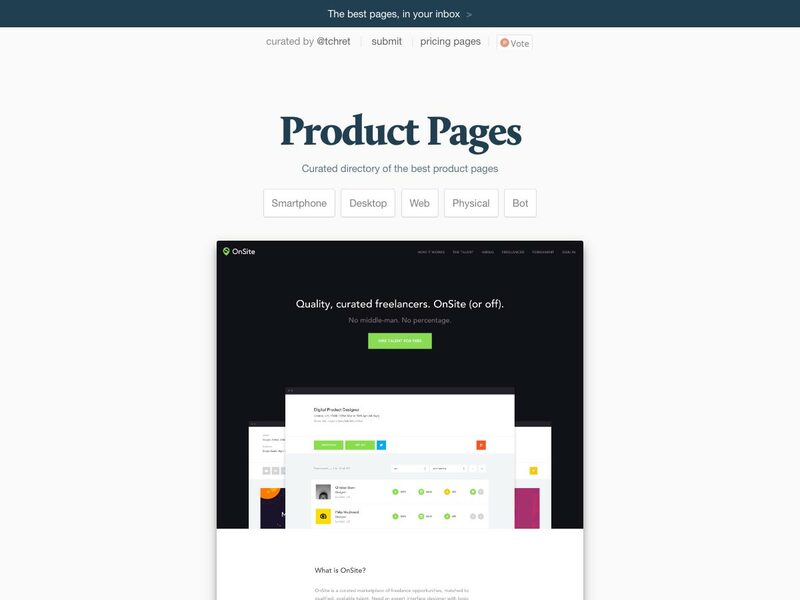 Product Pages is a curated gallery of beautiful product pages from around the web. New sites are added regularly. 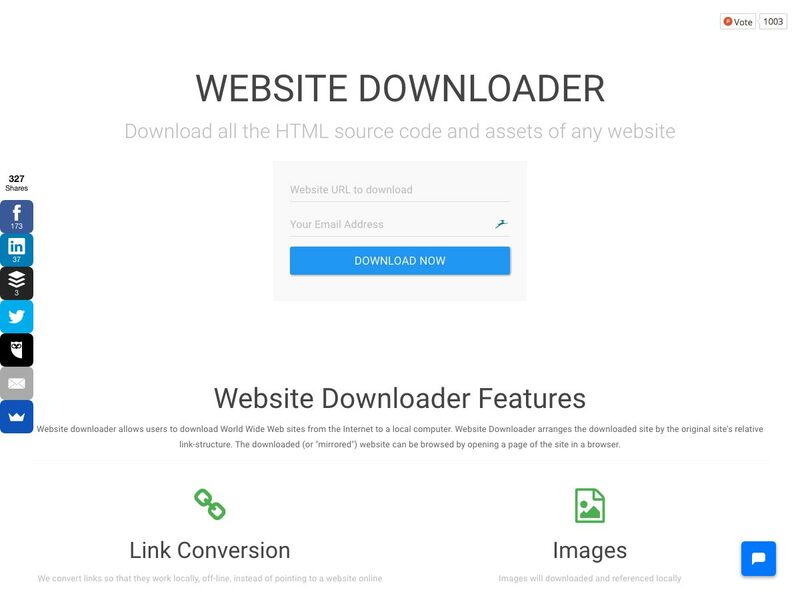 Website Downloader lets you download the source code of any website. Studying other people’s code is a great way to learn how to develop your own sites and apps. 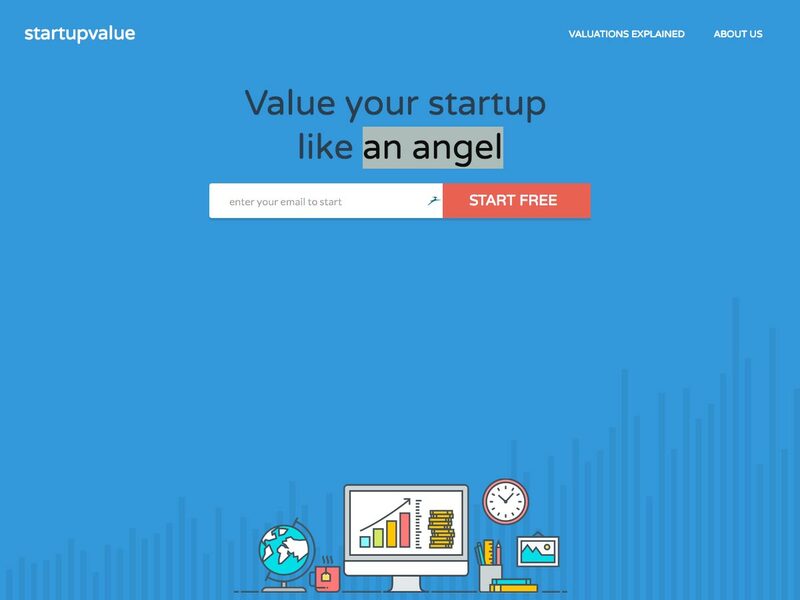 Startupvalue lets you value your startup like a VC or banker would. Just answer a few questions to find out your valuation in minutes. 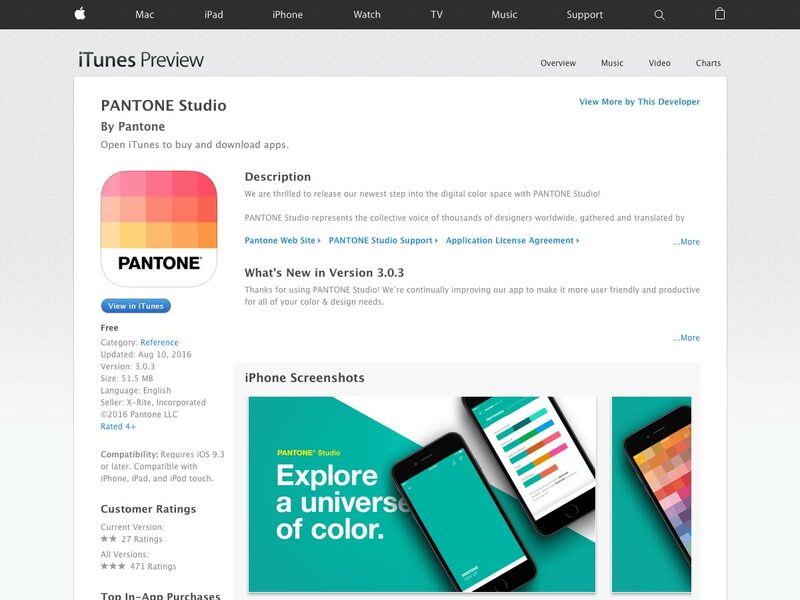 PANTONE Studio is a free iOS app that makes it simple to convert inspiration around you to PANTONE colors, build and test palettes, and share color palettes with others. BitBlox is a low-cost website building and hosting service. 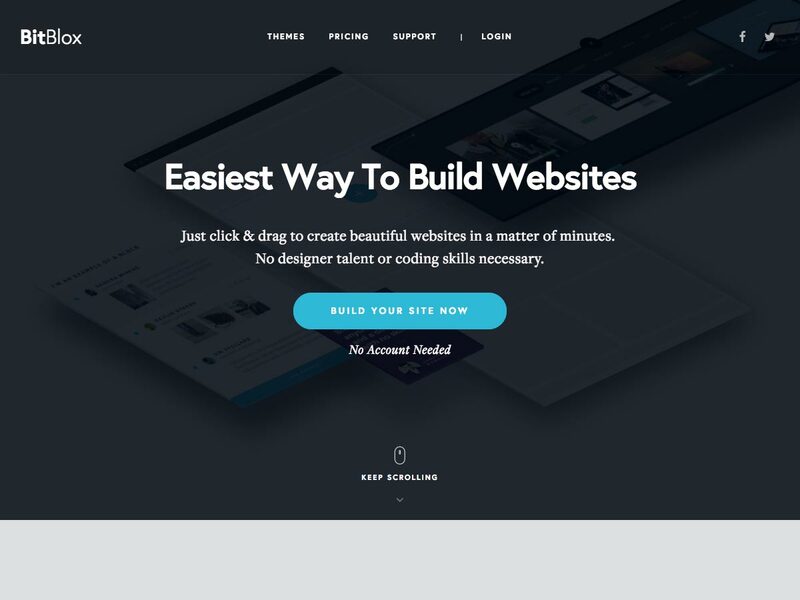 It has a drag-and-drop website builder, with no coding skills necessary. 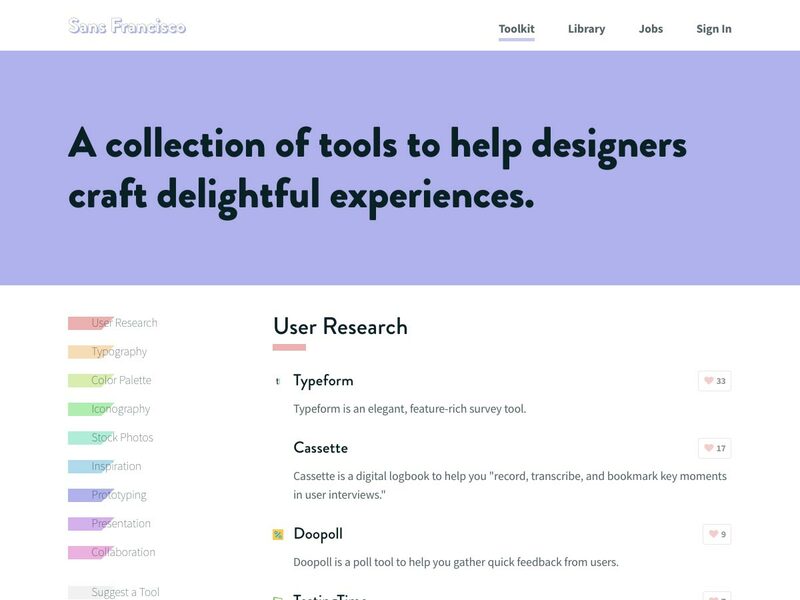 Sans Francisco is a collection of tools to help designers create better experiences. It includes tools for user research, typography, color palettes, iconography, stock photos, inspiration, prototyping, and more. 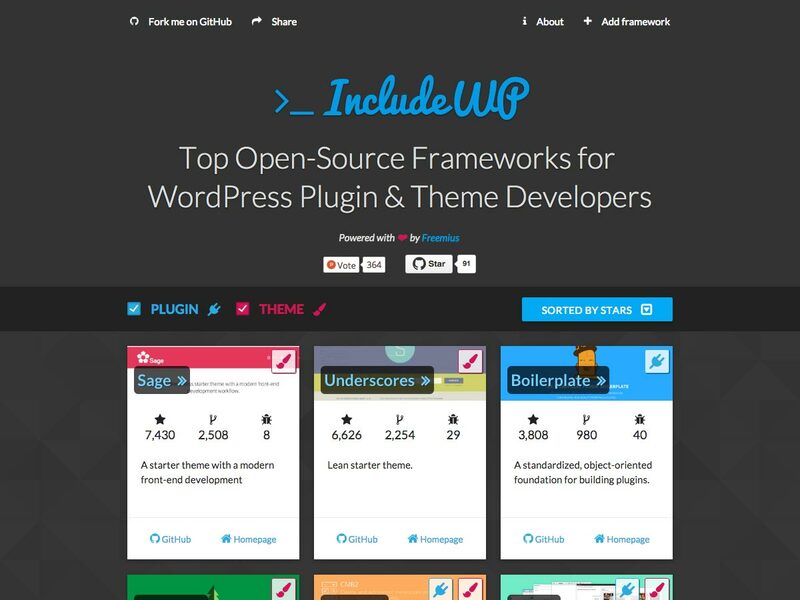 IncludeWP is a directory of the best open-source frameworks for developing WordPress plugins and themes. 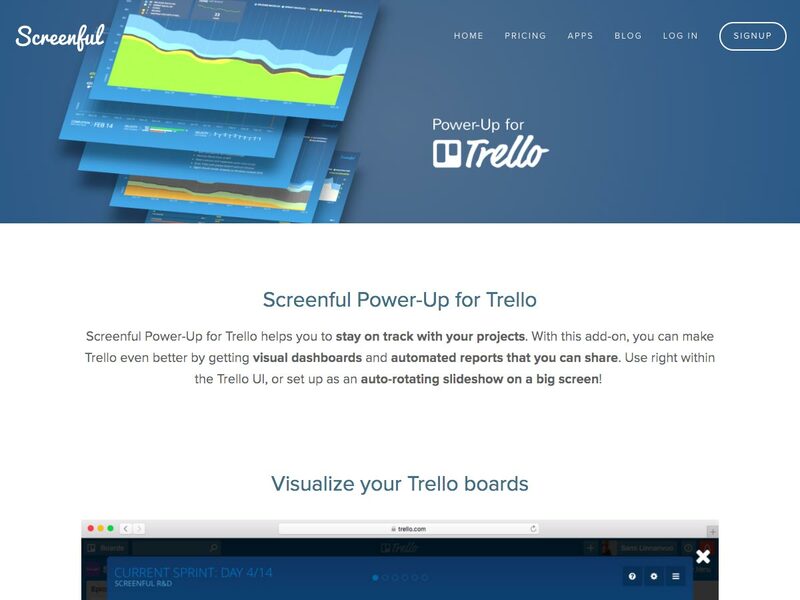 Screenful Power-Up for Trello helps you work better in Trello. It gives you visual dashboards and automated reports for sharing. 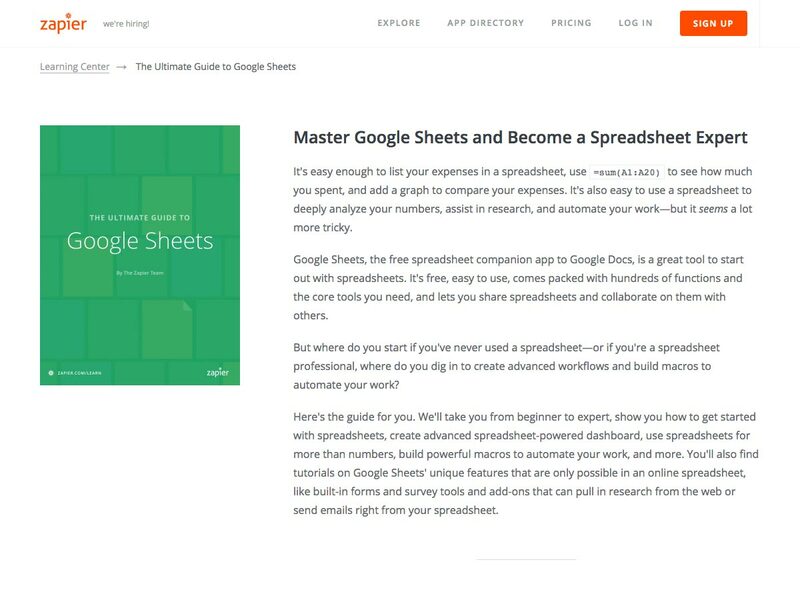 The Ultimate Guide to Google Sheets, from Zapier, will turn you into a spreadsheet expert. It includes hundreds of functions and the core tools you need. 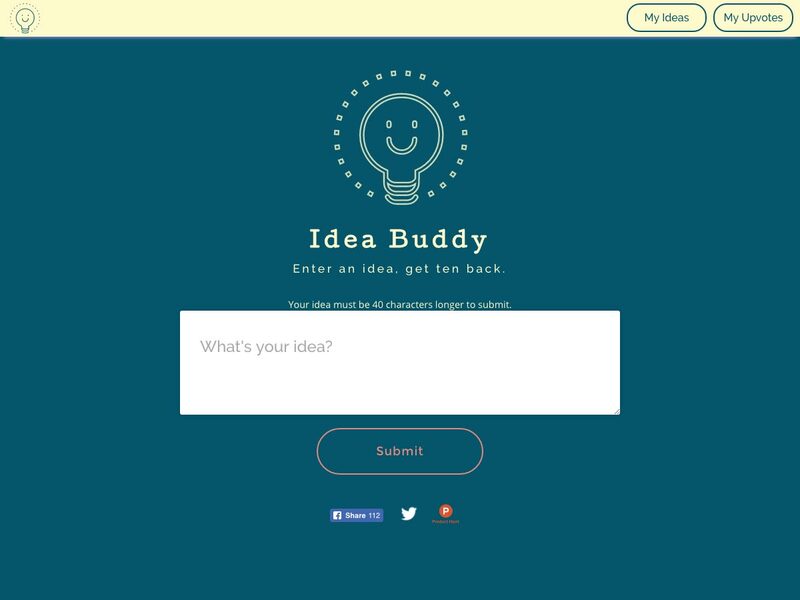 Idea Buddy is your source for ideas. Enter an idea, get ten back. They have over 2500 ideas in the system so far and counting. 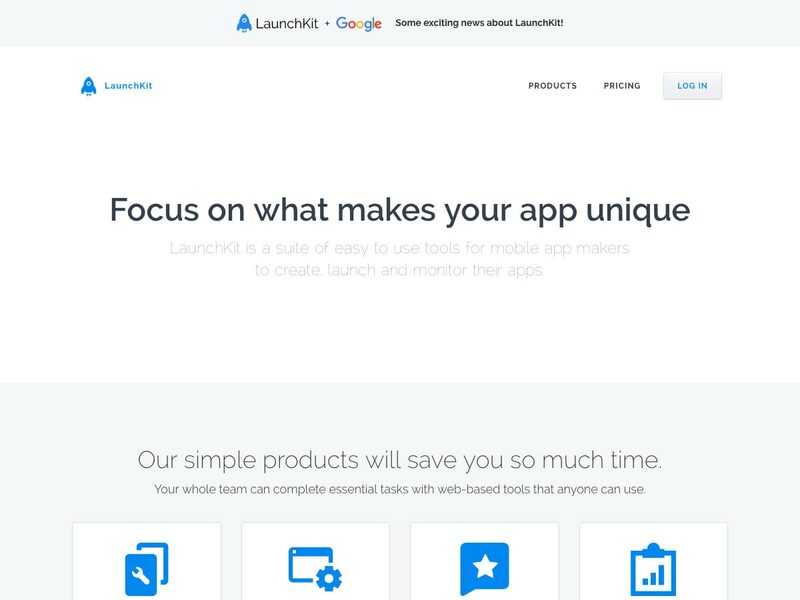 Launchkit is a set of web-based tools for mobile app development for creating, launching, and monitoring apps. And now it’s been open-sourced! 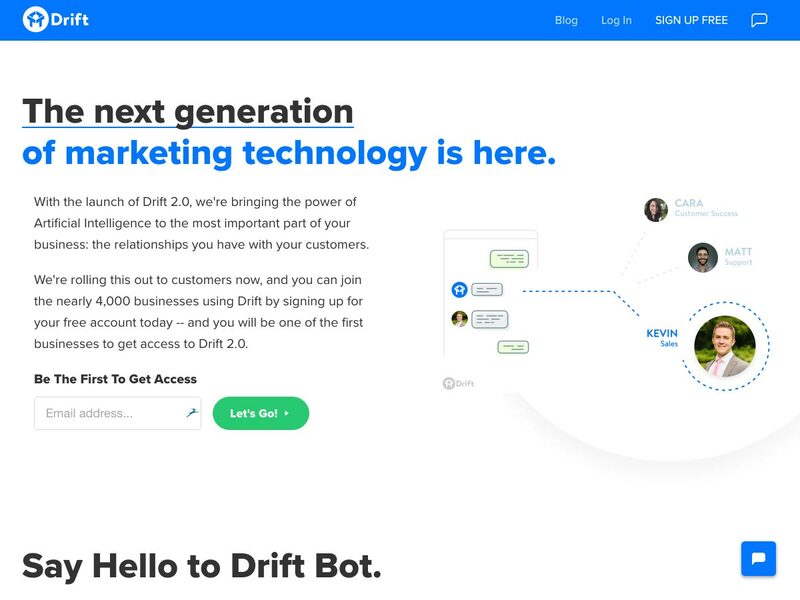 Drift is an AI-powered bot that helps you better engage with visitors to your website and build customer relationships. It integrates with Slack, WordPress, HubSpot, and more. 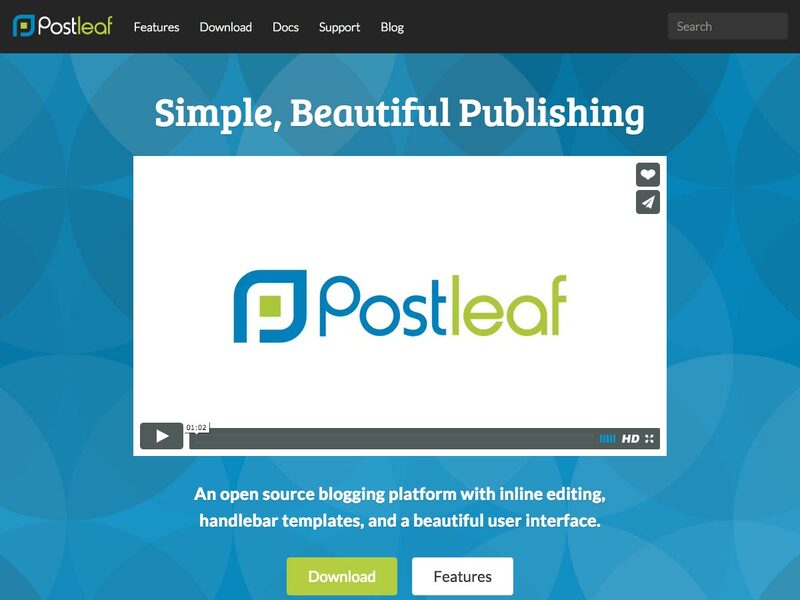 Postleaf is a simple, beautiful blogging platform with inline editing. 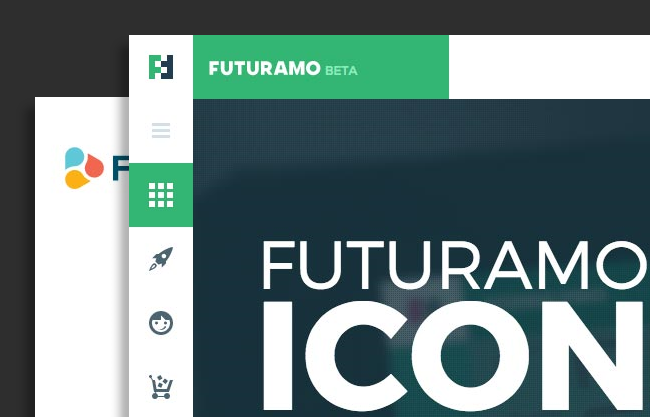 It has a beautiful UI, is fully responsive, and is easy to install. 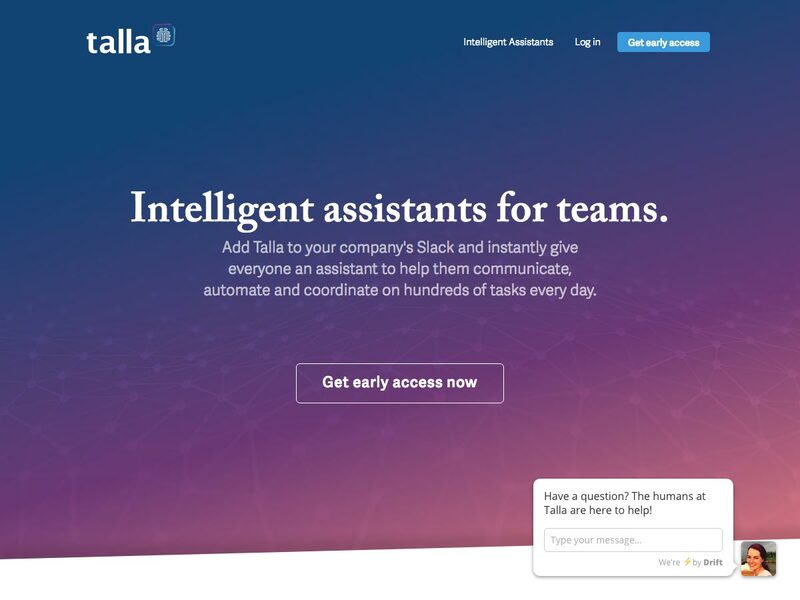 Talla is a virtual assistant you can add to your company’s Slack. It helps with communication, automation, and coordination for your team. 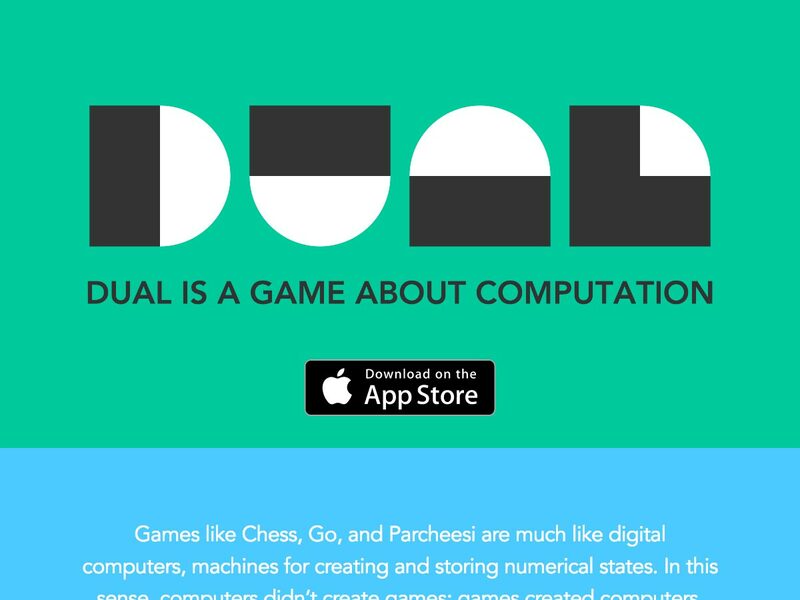 Dual is a strategic two-player game about sequential thinking and logic. It’s a lot like programming, minus the coding. 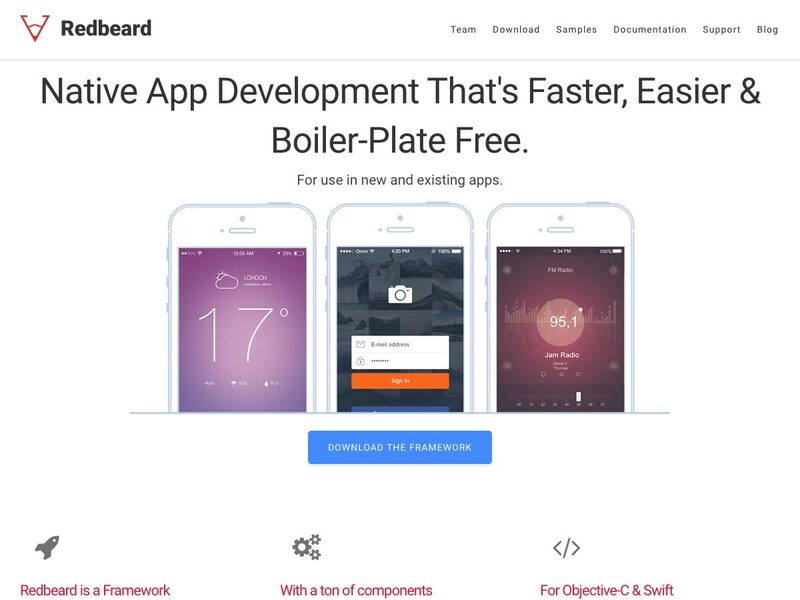 Redbeard is a native app development framework that’s boiler-plate-free. It includes tons of components and works with Objective-C and Swift. 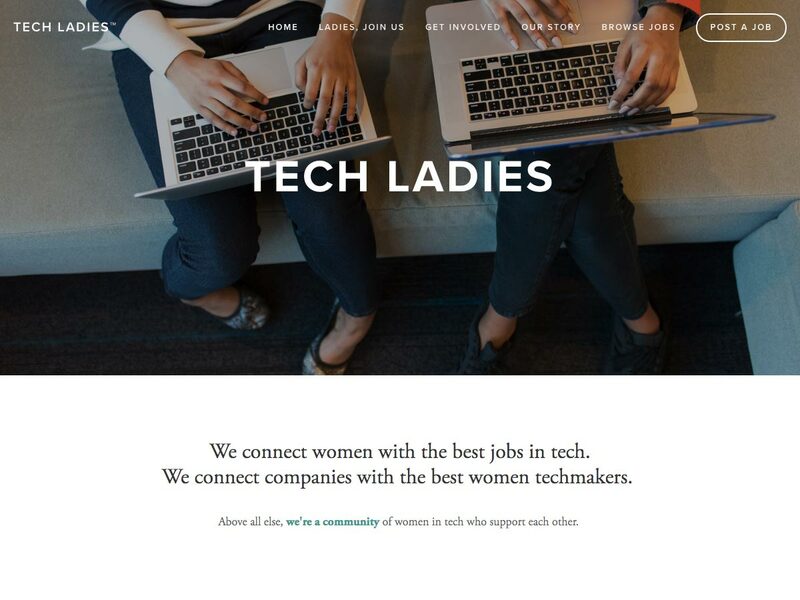 Tech Ladies connects women with the best jobs in tech, and connects companies with the best women tech makers. Above all, though, it’s a supportive community of women in tech from around the world. 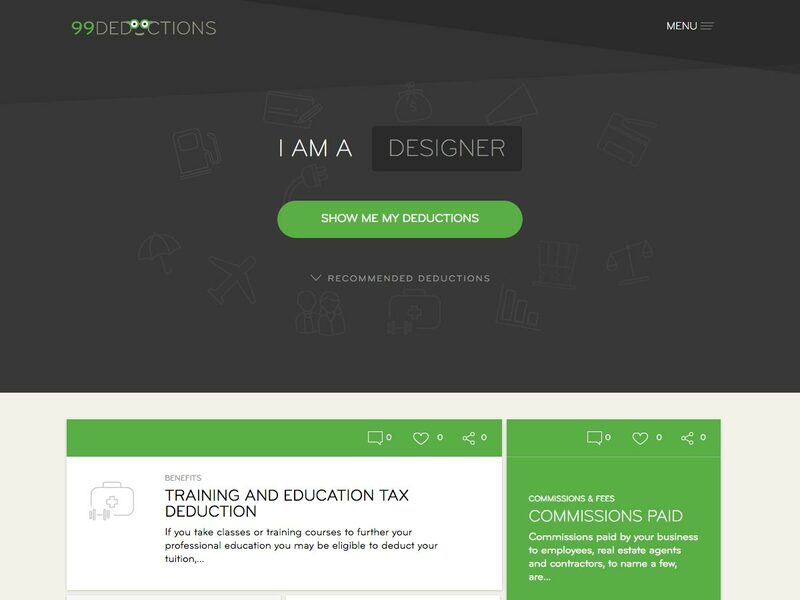 99 Deductions is a freelancers dream come true come tax time. It breaks down a bunch of possible deductions you might have based on your job. 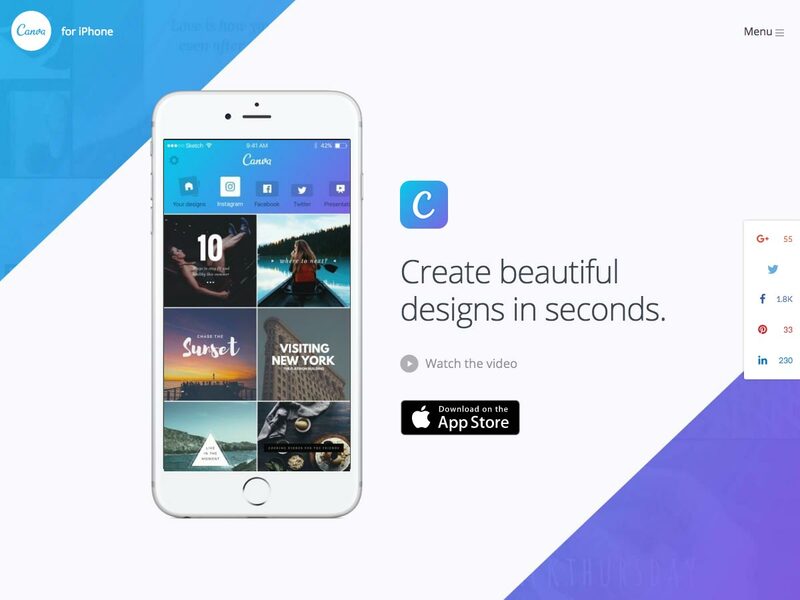 Canva, the simple to use graphics editor and design software, is now available as an iPhone app. While not as fully-featured as the web app, it’s still one of the easiest-to-use graphics programs available for iOS. 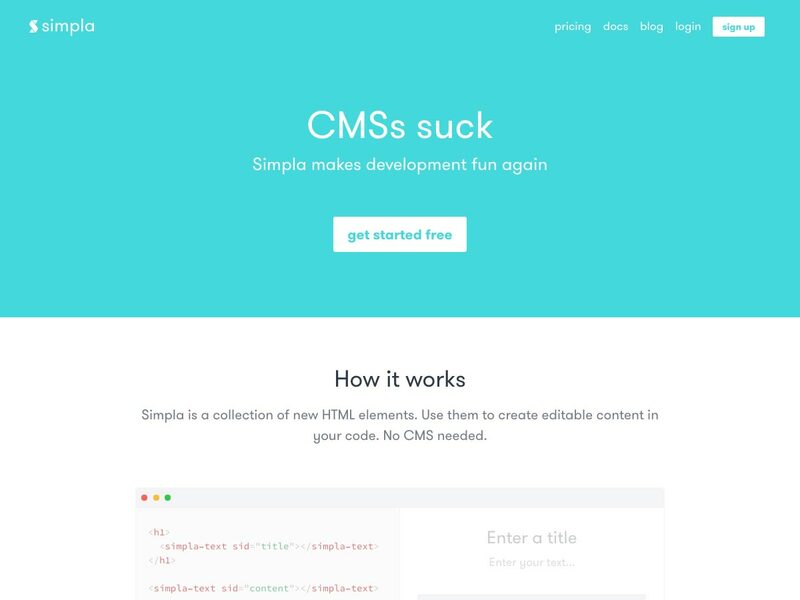 Simpla is an “open content ecosystem” aimed to replace your CMS. It’s framework-agnostic, standards driven, and has both free and paid plans. 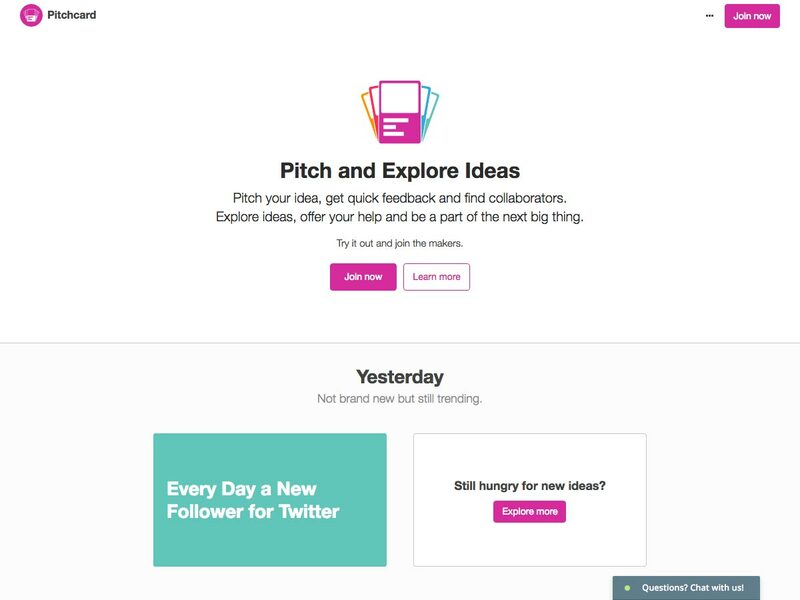 Pitchcard makes it easy to pitch your idea, get feedback, and find collaborators. You can explore ideas, offer help, and maybe even be part of the next big thing.